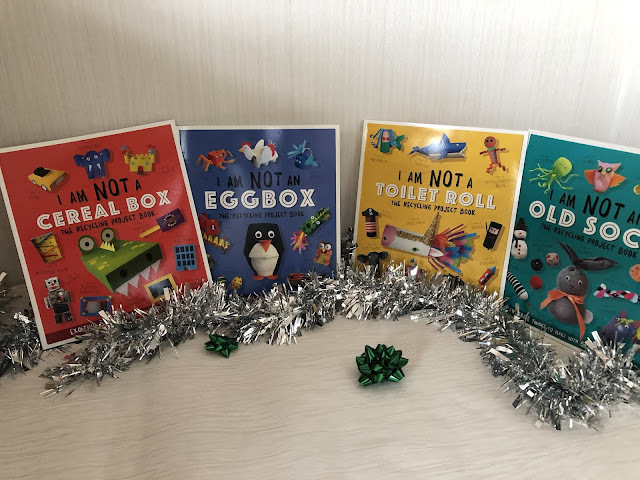 For all you book lovers out there , and I know there are a few of you :), whether your a reader or a crafter or love puzzles!, I have put together some of lovely book recommendations that would make perfect gifts this year for Christmas for all the family . Boxes in your house then these are definitely the books for you! One thing we love to do this time of year is make snowflakes . After Christmas we seem to get so much snow in Staffordshire and I thought this make it snowflake craft book would be the perfect gift for the festive season. The simple idea of a snowflake hasn’t been harnessed to create 15 original designs that incorporate the pattern of a snowflake. From cards and tags and even gift wraps to more difficult and delicate patterns . Each project has a step by step guide to help you through it so your not alone :) . I think this crafts book will be a big hit for Christmas . Unlock your imagination is the ultimate boredom buster book. Packed with fun facts and rainy day activities and in the go entertainment . From making slime to building their own crazy golf course . There is no end to how many projects your little ones can enjoy with this book. It also comes with a free double-sided board, counters and a press out dice that can be used to play chess, straights and snakes ! Whether you have only just started to get to know his books or you’ve grew up with him , I guarantee you will absolutely love this. Escape rooms have become really popular over the last year. Enter the world of . Escape room puzzles with this brilliant book!. But beware, once you enter , you only have a limited time to solve the puzzles before the time finds out and you are locked out forever. I absolutely love the idea of this book. Guide Adam, the young investigative journalist through 10 precarious rooms, solving the puzzles he finds in each one. It also has a timed element which adds that extra bit of tension! Nila absolutely loves Sophie la giraffe and this super cute Merry Christmas Sophie book is the perfect addition to any Sophie lover’s collection. Neal’s Yard remedies complete wellness book is a head to toe guide to self care for every part of the body. This is one of my favourite books as I am quite holistic and love to try homemade remedies first as they are so much better for you and your body. This book is absolutely packed with so much information and sources . It also includes step by step guides and demonstrations showing you how to make some of them remedies and oils . This would make some a lovely Christmas gift . One thing I like to do in the evening is out the kettle on and do some puzzles .i don’t know about you but it stops my mind going over the 50 billion jobs that need to be done the next day- mum life! :) The Alice’s puzzles - Through the looking glass is definitely my kinda book.